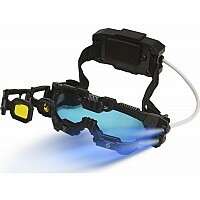 SpyX Night Mission Goggles are high-tech night goggles, to see up to 25 feet in the dark. 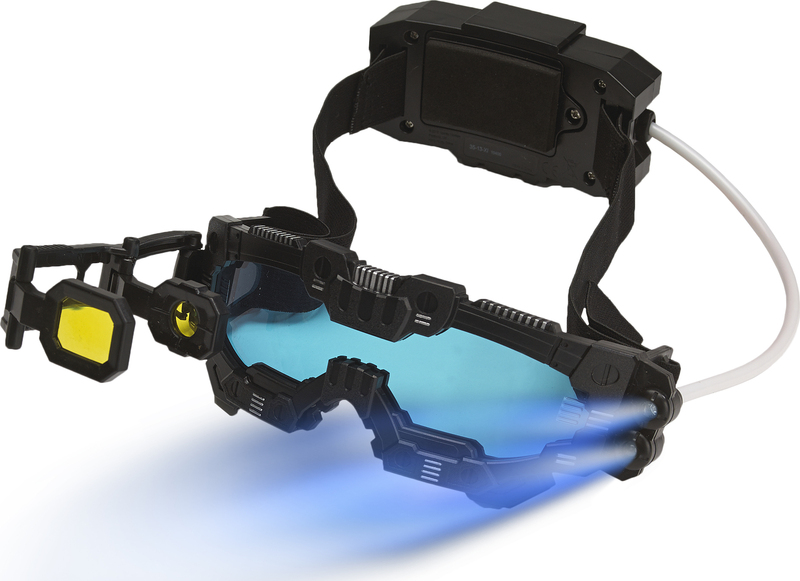 Featuring bright twin LED lights, these are sure to get you through your next night mission. A comfortable headset with battery pack will keep your junior agent playing spy for hours at a time. 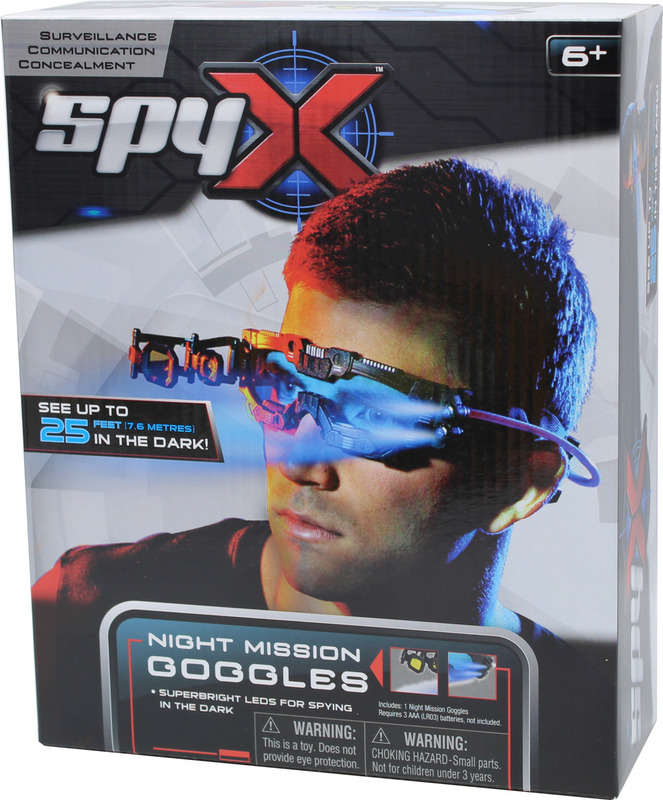 Use the flip-out scope for authentic daytime stealthness. 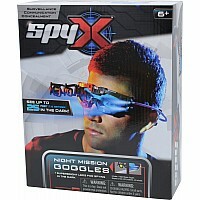 Get the SpyX Night Mission Goggles today and bring a smile to your junior agents face. 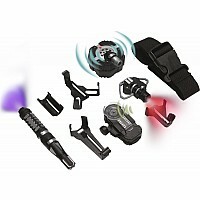 See up to 25 ft. away in the dark during your next night mission, with twin LED lights. 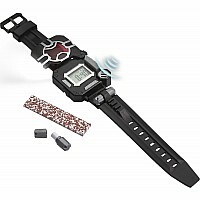 Tilywig Top Fun Award Winner. 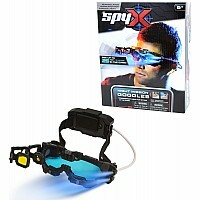 Featuring a comfortable headset with battery pack, allowing for hours of spy play, hands free and ready for anything! 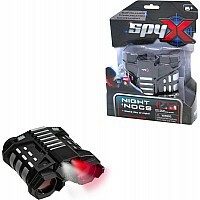 Use the magnified flip-out scope for daytime snooping. 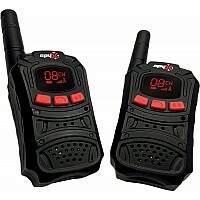 Measures approximately: 6.00 x 6.00 x 3.00 inches..